The light talcum powder guarantees finest English quality, calms the skin and takes away excess moisture on wet body regions. Apply after taking a bath or a shower, the talcum powder makes for a clean and comfortable skin feel. 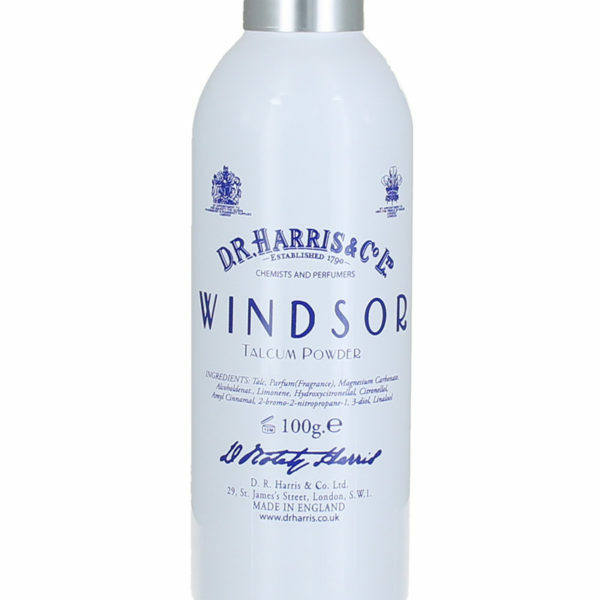 The fine Windsor Talcum Powder takes away excess moisture of the body and keeps the body dry and clean. Works reliable throughout the day. 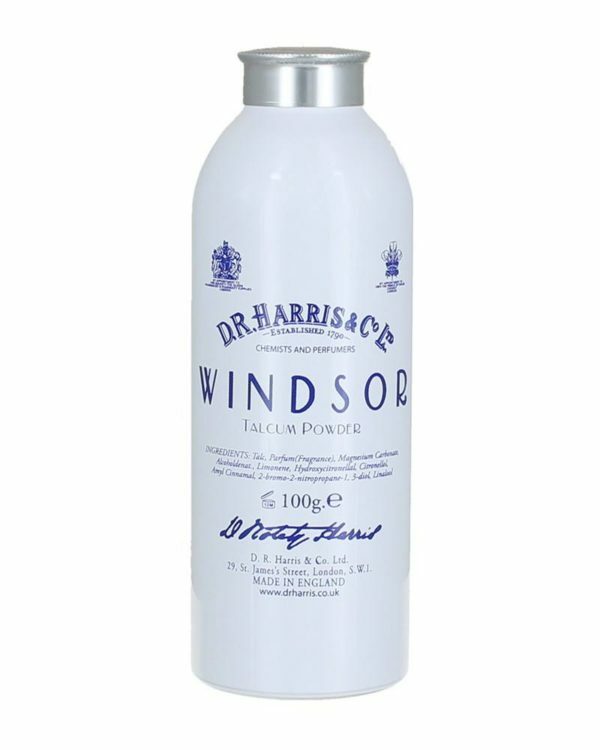 The talcum powder is equipped with the Windsor scent – a fresh mixture of citrus- and grapefruit notes, underlined by light tones of black pepper and vetiver. Apply thoroughly after a bath or after taking a shower. The skin will feel clean, dry and smooth.